We store all your inputs and outputs in one place, making it easy to track and reproduce models. We even save your most recent git SHA for you. Default plots let you quickly see trends and compare runs in real time. Log a custom visualization and we'll save it with your run. W&B works with your setup, whether you're training on your laptop or instrumenting a massive distributed sweep. "W&B is a key piece of our fast-paced, cutting-edge, large-scale research workflow: great flexibility, performance, and user experience." "W&B allows us to scale up insights from a single researcher to the entire team and from a single machine to thousands." Add just a few lines of code to your script to get the power of W&B logging. We're framework agnostic. Easily log metrics from your script to visualize results in real time as your model trains. 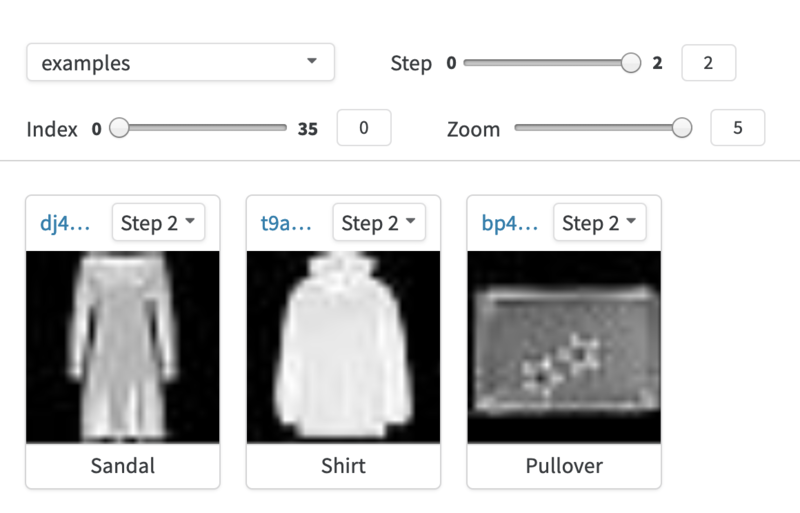 Peek under the hood and see what your model is producing at each time step. Our service was built to handle thousands of parallel runs. Every experiment is saved for quick comparison in the run table. Tag, filter, sort, and group runs easily. 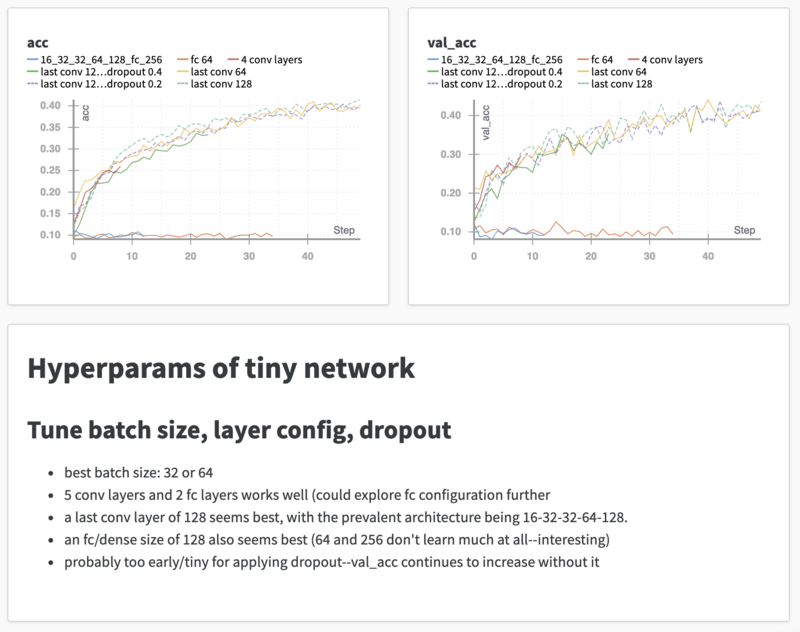 Visualize the influence of different architectures and hyperparameters on the output metrics you care about. This sample project is classifying images of handwritten digits from the MNIST dataset. Stacey walks you through fine-tuning a Keras model to classify images of plants and animals. 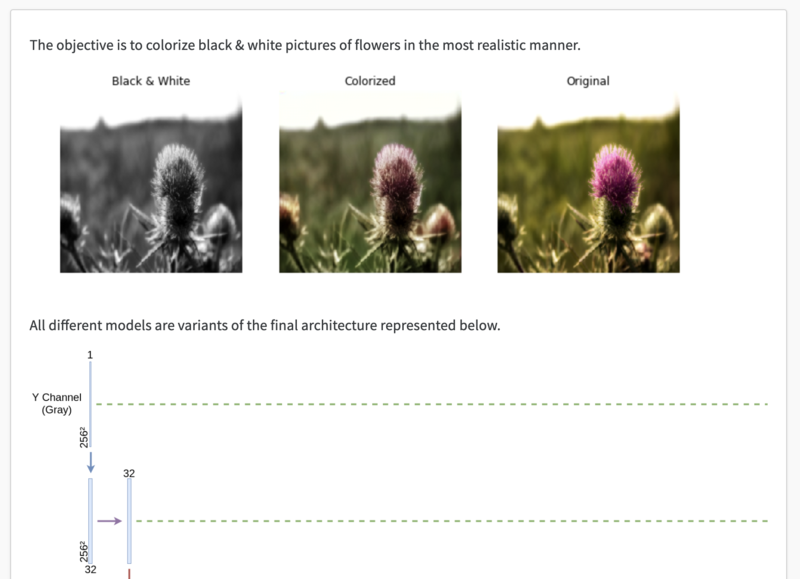 Boris trained a model to colorize black and white images, and he describes his process in this report. Never lose your progress again.